Susan plucking the corn transplants from the tray for the planting crew. 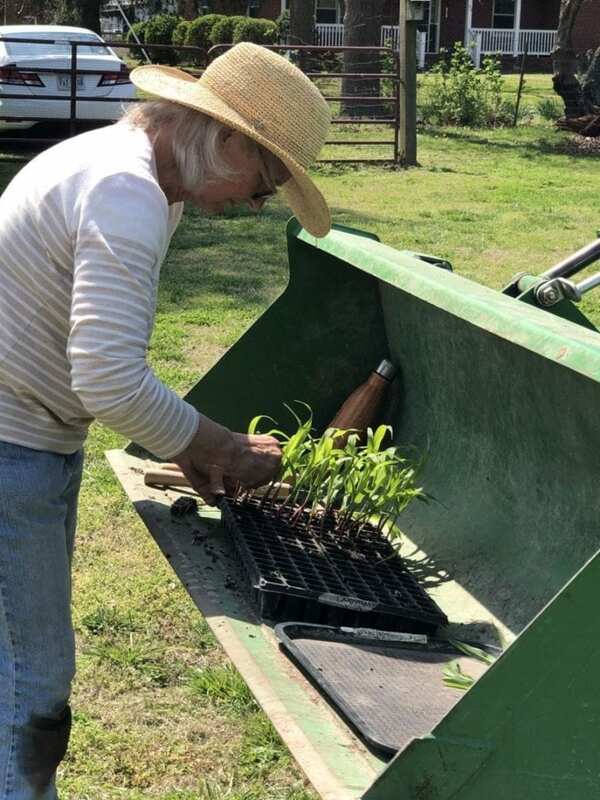 Transplanting corn is one of the many secrets I’ve learned from my vegetable farming guru friend Amy. The worker bees of Grandma’s Garden are busy bringing this garden to life. 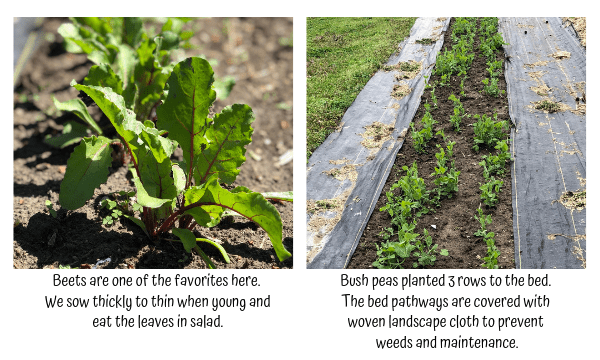 The cool-season peas and beets are on their way to bringing bounty and we have all kinds of warm-season plants hitting the ground running. Spring is turning out to be extra special on the farm this year. Our first Grandma’s Garden workday happened and was so unexpected. As this farmer’s day usually goes, I suddenly realized we needed vegetable weeding, potting up, and planting ASAP. So, I put out the call and the troops came! I was overjoyed. Today, the peas and beets are weeded, 200 tomato transplants are now happily potted up into 2” soil blocks, squash seeds are sprouting, the first succession of corn transplants are planted in the garden and the second is sprouting in trays. Then it rained at the end of our workday. Happy plants and gardeners. Here in Southeastern Virginia we are on the verge of our last expected frost date, April 15. I use this historical date as a jumping off point to plan not only my flower farm but also our vegetable garden. Our cool-season vegetable plantings went in the ground mid-February, following the model of 6-8 week before last frost. This year I only planted bush peas and beets. Others that could have gone in around this time: lettuce, kale, spinach, chard, radishes, carrots, broccoli, cabbage, bok choy, and other cool-season plants. Now, while we are waiting on those cool-season harvests to get rolling, we have moved onto warm-season vegetables. The summertime favorites of Grandma and the rest of us: corn, tomatoes, squash, and beans. My tomato obsession is in full swing. I’ve started 10 seeds each of 20 different varieties of tomatoes. In addition to growing our favorites, I am trialing many selections for next years seed offering, exciting! My consolation to the varieties I missed? This my friends, is only our first succession of tomato seed starting. The secret I learned years ago from my vegetable farming guru friend Amy of Amy’s Garden: don’t plant tomatoes just once, start 2 or 3 plantings over time, having all in the ground by July 15 for our region. This means I can start more varieties in on our second or third plantings! 2 week old corn transplants pluck out of the tray for the planting crew. 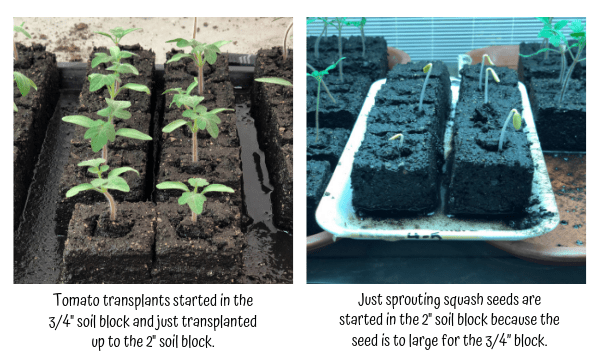 Another tip I learned from Amy is starting our corn seed in plug trays to have a 2-3 week old transplant ready to plant in the garden as soon as conditions allow instead of planting seed. This is my third year doing this and it works great. 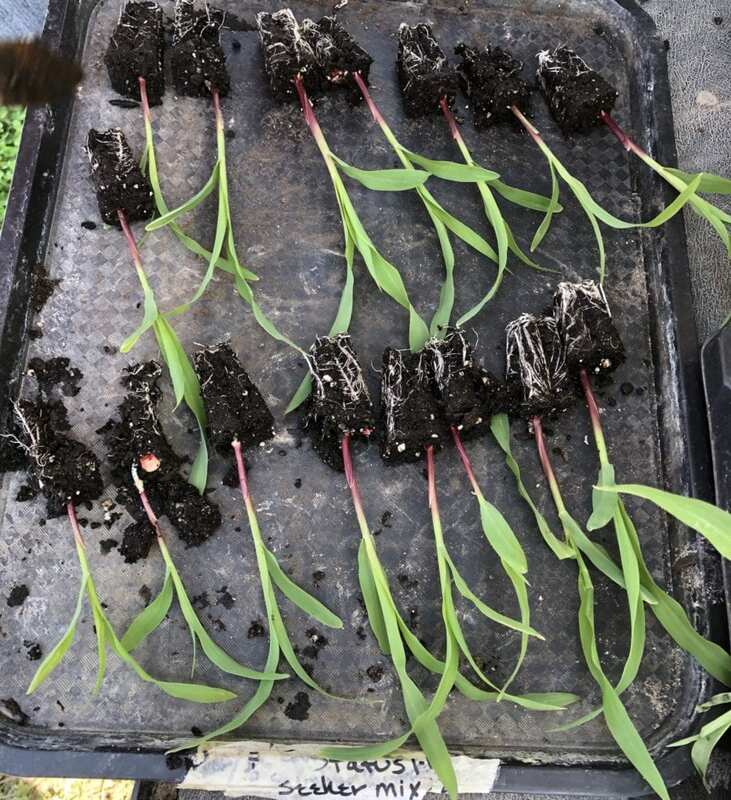 Our corn harvest comes in earlier, it helps us to beat pest pressure, and we are able to plant the transplants deeper that helps the corn build strong roots to resist wind issues. Win, win, and win! Our squash seeds are sprouting indoors and I have our bean seeds ready to be planted in the garden just as soon as night time temperatures are at 60 degrees and holding. We will cover our bean seed plantings and squash transplants once planted with floating row cover as described in Vegetables Love Flowers to prevent pest damage including the squash bug and bean beetles. 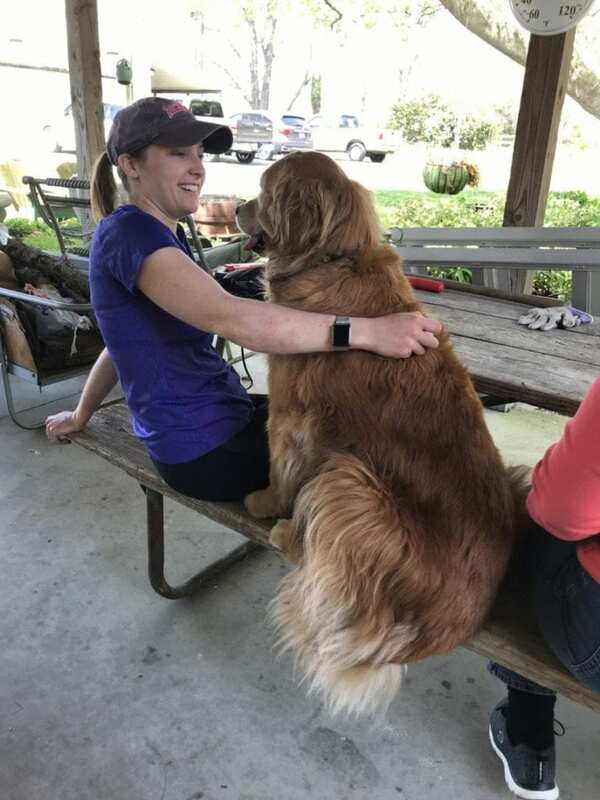 Beri is enjoying having some new faces around the farm too! Stay tuned as the garden gets growing and for my report on what happens around Grandma’s table at Easter! Something the young and the old look forward to every year. Eating at Grandma’s each week is delicious and special, but Ruby’s special touches, like Easter, create such lasting memories for her family. I can’t wait to share more with you. Read the story behind Grandma’s Garden here. Loved this post, so much new information to try in my garden.